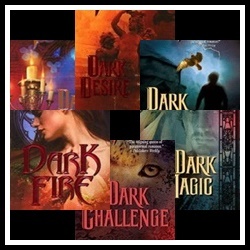 The Dark Series was my introduction into the world of paranormal romance. My mom recommended Christine Feehan and let me borrow a few books. Once I started reading the series, I was totally addicted. The series is about a dwindling race of people called the Carpathians, who are basically vampires. If you're in the mood for a great read in the vampire romance department, the Dark Series is fantastic. While she might be a bit more tame than I like my romance books present day, I love me some Christine Feehan and I've enjoyed several books in this series more than a handful of times each. Dark Prince is the story of the Carpathian prince Michail Dubrinsky and his mate Raven. While I found Michail a bit pushy at times, I did enjoy this book- A LOT. 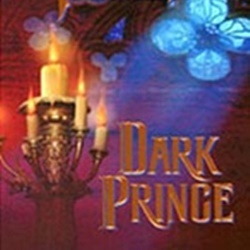 Dark Prince was the second book that I read in this series, and I loved it every bit as much as I did Dark Destiny. I read long into the night before I was able to pry myself away and get some shut-eye. Mikhail Dubrinsky has worked for centuries to discover why his people have lost so many of their children in the first years of life. He's on the brink of suicide when he hears the voice of a beautiful telepath in his mind urging him not to give up. Despite the odds being stacked against them, Raven and Mikhail find a way to bring hope to a dying people. Maybe there are more human women who are strong enough to mate with the Carpathians. Dark Desire is the story of Michail's brother, Jacques Dubrinsky and his lifemate, Shea O'Halloran. This book completely surpassed my expectations. Especially Jacques... so full of anger and hatred for what had been done to him. If you're a sucker for tortured heroes, you will absolutely love Dark Desire. I loved the raw intensity and the sensuality between Jacques and Shea. Their story is such an emotional one. The kind of story you just can't help but emotionally connect to. Jacques was tortured and untouchable. He was full of hatred and rage and on the edge of insanity when Shea found him. He was so far gone he actually attacked her when she freed him from his prison. All he could think of was the rage and hatred he had built up against those who had trapped him like an animal for so long. Not only is this book sensual, it is full of excitement, suspense and plenty of action. Another impossible-to-put-down book from Christine Feehan. 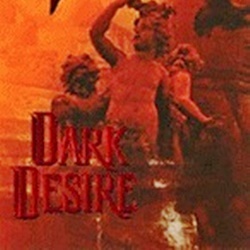 I actually enjoyed Dark Desire more than Dark Prince, but they are neck and neck.